Villous structure of the placenta as seen under light microscope from a histological slides from a normal placenta. 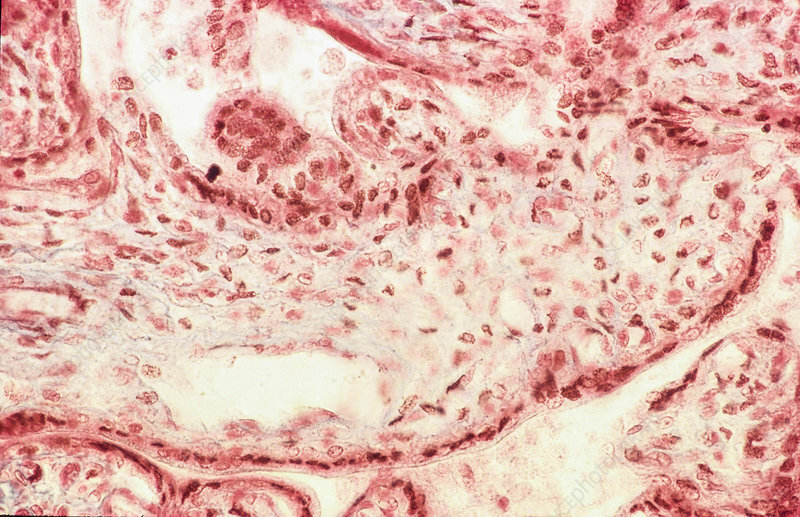 Normal epithelial cells covering the villi containing fibrous tissue and blood vessels. H&E stain and 40x magnification.